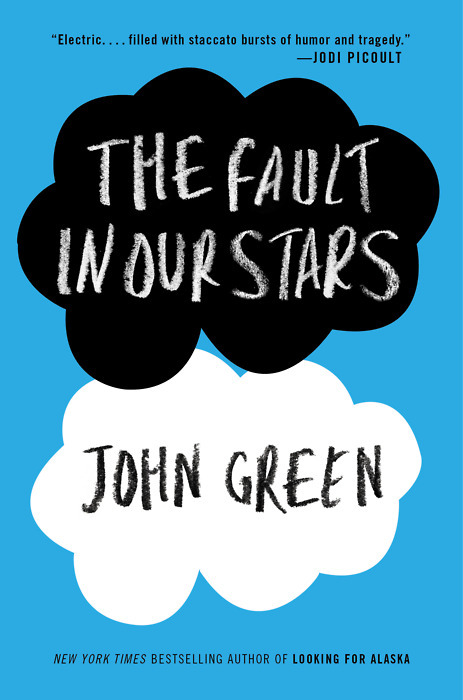 Green even created a book-within-a-book so well, you'd have to do a Google search on the book referred to in The Fault in Our Stars to realize how many times people (including myself, I admit) did a search for it. This is one truly talented author. One of the best books I've read bar none. 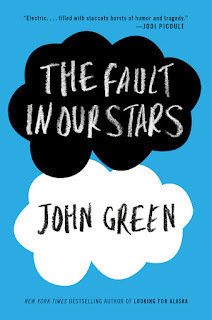 Recommended for...well for anyone who wants to take on the "I dare you not to cry before finishing this book" dare. I can't WAIT to give it someone else RIGHT NOW!!! I've always enjoyed realistic fiction....I could definitely see this as a big draw for YA girls. Enjoy! Will Besting has a secret terror. He's been in therapy for a few years, but he has yet to tell his therapist what it is. He doesn't quite trust her. Will has even gone so far as to "steal" audio sessions not only of his, but of other patients as well. He doesn't think he has a problem with his fear, but his parents nor Dr. Stevens, his counselor agree. So when Dr. Stevens offers Will the chance to completely eradicate his fear at a compound called Fort Eden, Will still isn't on board. The only person he slightly trusts is his younger brother, Keith. They're as different as brothers could be - Keith, the athlete; Will the techno-geek. It's when Keith announces, "you're going," that Will knows Dark Eden can't be avoided. Along with six other teens, Will starts his journey toward recovery with one exception. While the others tentatively step into Fort Eden, Will dodges the group and decides he won't be a part of it. He finds himself on the inside, hiding the basement, and more surprisingly, he finds the monitors. It's from there that he watches and see what happens to the other six, including the procedure for the cure they endure. Will knows it's only a matter of time until he goes through the procedure as well...but can he endure it or not? 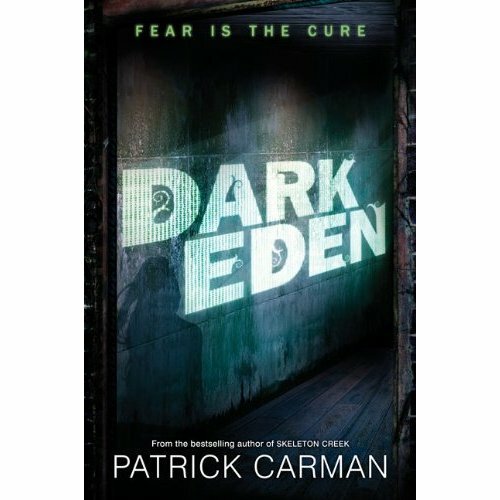 Patrick Carman has yet again reached a wide audience with this thrilling book about teens and technology. What makes this book so intriguing is the not so obvious plot that is thinly drawn in and displayed in full at the end of the book. Part realistic fiction, part fantasy, Carman weaves a quick read that will be hard to put down. And what Carman is best known for, his book has a technological side - an app readers can download onto their iPads or iPhones. Appropriate for junior high and high school, this thriller adventure is the perfect book for guy readers but equally placed for girl readers as well. The publisher produced book trailer only heightens the drama that unfolds (Youtube: Dark Eden trailer). Highly recommended. So, that would make nearly 50 books and a great display!